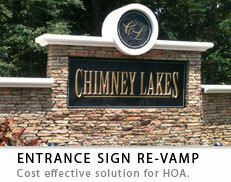 Custom cnc v-groove routed signs by the sign industry leader - Sign Design and Fabrication. Since our beginning in the fall of 1996, we have strived to provide our customers with the best bang for their buck. 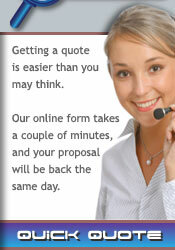 Our mission statement is very simple ... provide our customers with the most effective solutions to their marketing needs. 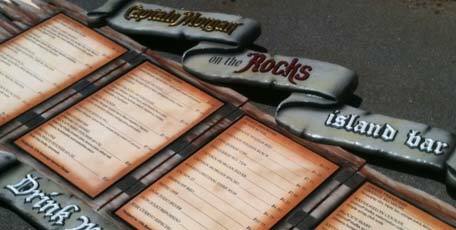 Sign Design and Fabrication specializes in marketing and identity, catering to all industries and applications. What makes Sign Design and Fabrication unique is that we create and produce, all under one roof. Whether you are looking for a residential entrance sign, development directional signs, business park tenant signs, lobby or reception displays, church reader boards or golf course signage, we can provide a solution that will exceed your expectations. It is our focus to produce 'made to order' signs that DEMAND ATTENTION, and define a sense of taste that will make a lasting impression. We were the first sandblasted sign source to enter the world wide web, and have since set the mark for all dimensional signage production methods and fabrication techniques.